When I was at the tender age of six I knew exactly what car I wanted when I grew up: I wanted the Batmobile from Tim Burton’s 1989 comic book masterpiece, Batman. Now, at 30, I want the Batmobile even more than ever. But that was just the first in many cars through the history of pop culture that left an impact on me. And I’m not alone – there have been countless vehicles that have impacted our lives. Through movies, television, and video games, this is a celebration of some of the most iconic cars in pop culture history. I guess it’s really no surprise that the teaser is for the new Ghostbusters movie, but notice that the car is just as important as the logo itself? Beyond all that, the Ecto-1 was also part of the name of an awesome Hi-C flavor, Ecto Cooler. Yeah, remember Ecto-Cooler? Hits you right in the nostalgia, don’t it? James Bond always had the coolest cars, combining sleek luxury with utilities no spy could afford to go without. Over the years, Bond’s cars crossed from ‘awesome spy cars’ (the Aston Martin) to ‘that’s kinda silly but okay’ (the car controlled by touchpad in Tomorrow Never Dies) and finally to ‘yeah that’s absurd’ (the invisible car in Die Another Day). Still, despite James Bond cars jumping the shark (maybe literally at one point, I can’t remember), the Aston Martin remains the James Bond car. AskJames | What is the story behind James Bond and Aston Martin? I’ll never forget in Goldfinger when Q showed Bond how to flip license plates on the car, and how badly I wanted that for my own car every time I got pulled over. I wanted all the other features too, like the oil slick and the bullet proof screen, because that’s awesome and also seems like good answers to avoiding the police. The General Lee seems to have transcended generations even better than them Duke Boys who, despite stopping Boss Hogg’s schemes time and time again, almost take a backseat to their own Dodge Charger. Glossing right off the behind the times flag atop the car, it’s impressive how much of a beating that car took over the course of seven seasons. Well, maybe it’s not the stunts that was impressive so much as the amount of cars that show went through. Word is that throughout the series the show used 300 General Lee’s, totaling about two an episode. We learned a lot about the world from Jurassic Park. We learned that cloning dinosaurs is possible in theory, we learned that if something is heavy that it’s probably expensive and you should put it down, and we learned that when you gotta go, you gotta go – even when you’re stuck in a park dedicated to gigantic killing machines that will literally eat you right off the toilet. I mean, really, is there a worse way to leave this world? I wonder what that dinosaur would say to its dinner just before biting down? ‘WHERE IS YOUR GOD NOW?’ Something like that. Oh, we also learned that a 93 Ford Explorer is an incredible defense against the T-Rex. I mean, seriously, the T-Rex just ate a dude off the toilet, and has already torn through the park. But the power of American-manufactured automotive glass? Indestructible to a prehistoric monster. Back in the day, in dorm rooms and friend’s basements, you settled disputes with one of three games: Goldeneye 64, Super Smash Bros, and Mario Kart 64. If you played Mario Kart you were one of three characters: Yoshi, Toad, or the loser. As soon as that character selection screen loaded you had best come correct because your friends were all eyeing one of those two for their superior speed, acceleration, and handling. Good luck trying to win anything if you missed your opportunity. Like Donkey Kong could save you at that point. You may as well pick Wario and be that guy. Also, while we’re on the subject, can we agree: using a blue shell was the OG of stealing a friend’s star in Mario Party. Was it legal? Yes. Would you wish a thousand curses upon the head of the person who launched it? You’d be a fool if you didn’t. Scooby-Doo was a show about a couple of preppy people who take their friend and his dog on adventures in their Woodstock van to solve mysteries and foil the plans of beleaguered amusement park owners. For some of you, Daphne could have been your first crush. I’m not judging. 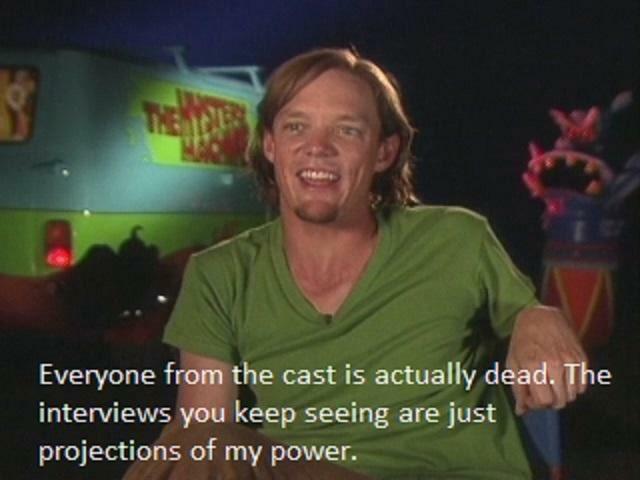 For others of you, you probably recently got on this weird craze where Shaggy is now a demigod slash Dungeons and Dragons boss. Or something. You know, if I’m being honest, I think I missed out on that meme so I’m not even going to pretend I understand it any further. So yeah, I guess that’s a thing now. And we all just have to deal with it. Here’s what I do get: the Mystery Machine, that hippie van is unforgettable. That blue and green got our band of explorers from one mystery to the next, and also one time picked up Jay and Silent Bob. Adam West, Michael Keaton, Val Kilmer, George Clooney, Christian Bale, Ben Affleck: they were all the Batman at one point, and they all drove their own Batmobile. Well, maybe with the exception of Bale – he got a bat-tank, bat-motorcycle, and bat-copter, but no classic Batmobile. Actually, and now that I think about it, Ben Affleck really only drove sports cars in Batman Vs. Superman and Justice League, and in Justice League it was more of a commercial than an actual scene. Semantics aside though, it’s hard to deny the iconic ride of the Bat. In many ways, the Batmobile was just as essential to Batman’s character as Robin, Alfred, or the Batcave. It was everything the Caped Crusader needed: when he needed to take to the streets of Gotham to pursue the Joker he could keep up with the Clown Prince of Crime, when he needed to catch his villains or stop pursuers it had the devices, and when Bruce Wayne needed to get somewhere quick the Batmobile was the ride that would get him there. Much like the character himself, the Batmobile has evolved over the years, and has appeared across any medium that Batman has been in. 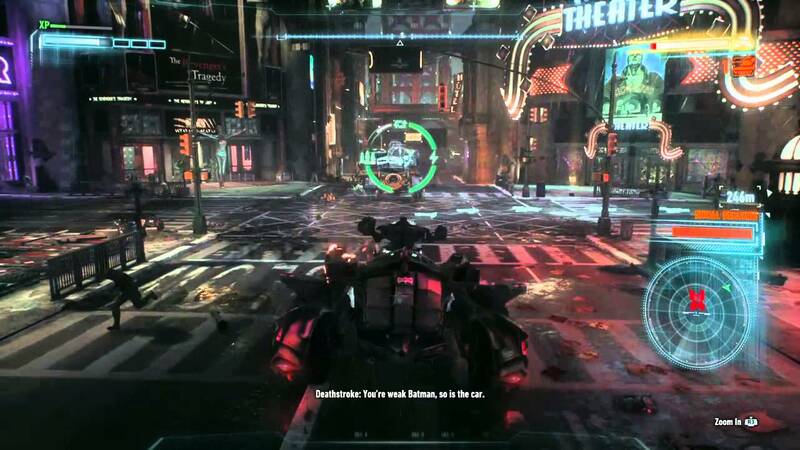 Hell, you got to basically be the Batmobile in Arkham Knight and it was used in one of the most anti-climatic boss fights against Deathstroke in the history of video games. I mean, seriously, you have a world class assassin, one that’s bested Batman many times and trained Nightwing, and you do this? Anyways, point is: the Batmobile is iconic and Arkham Knight made some interesting choices. 9/10 game though. We cool? We said the line? Did the thing? Awesome, cause besides that iconic line (and the ‘so you’re telling me there’s a chance?’ line) the Mutts Cutts van is one of the most recognizable cars in the history of cinema. I make that bold statement with confidence and pride. First of all, it’s a car dressed up in dog cosplay. Second, without Mutt Cutts, there is no movie. It would just be Jim Carrey and Jeff Daniels hanging out in Rhode Island, looking at the Big Blue Bug for 90 minutes. Mutt Cutts deserves a spot on this list for that alone, and it got one. T’is a giant hot dog car. Do…do I really need to explain why that’s amazing? I saw it at O’Hare once in the drop off circle for terminal 3. I have no idea what it was doing there. I just knew I was going to have a good flight. Seriously, it was like spotting a leprechaun. Sure, Back to the Future wasn’t the first movie about time travel, nor was it the last, but there’s something so charming about getting into an obscure car like a DeLorean, see the flux capacitor, and know that things were about to get crazy for Marty and the Doc. They went back in time, forwards in time, back in time again, and then way back in time. They made all sorts of proclamations about the future: we all thought we’d have hoverboards, that movies would have way better 3D effects, and that people could in fact get rich off of sports betting if they knew the outcomes to every game in advance. Still, who didn’t want their own DeLorean at one point after seeing this trilogy? The way the doors opened like wings was iconic, but the car actually looked kinda fun to drive. And the lucky people who do own a DeLorean like to show it off at places such as the Midwest Gaming Classic in Milwaukee, WI & the Petersen Automotive Museum in Los Angeles. There’s no shortage of iconic cars throughout the history of pop culture, and these are just a few of them. See more iconic cars and what the future of the automotive industry looks like Sundays at 5:30 on “Driven” only on YurView.